Veterinarians can use a variety of methods to help clients reduce the stress and pain associated with dehorning, according to the American Association of Bovine Practitioners Animal Welfare Committee. In a note to AABP members, the committee notes that research has shown dehorning, and even disbudding calves at an early age of less than four weeks causes pain and distress, regardless of the method. Research has also demonstrated that calves benefit from the mitigation of both the pain associated with the procedure itself and during the recovery and healing period. The administration of local anesthesia such as lidocaine, in combination with non-steroidal anti-inflammatory drugs such as meloxicam, has been shown to provide effective pain mitigation during and after hot iron, cautery and amputation dehorning methods, according to research cited by the committee. AABP also notes that using a local anesthetic does not appear to address the immediate pain associated with the use of caustic paste, and in fact may make it worse. However, providing an anti-inflammatory drug such as meloxicam prior to the application of caustic paste can minimize post-procedural pain. When combined with a sedative (xylazine), research has shown that caustic paste results in less pain to calves than dehorning with a hot iron combined with a sedative and local block. Use of xylazine as a sedative also can help mitigate distress associated with the handling and restraint required for dehorning. It is important to note that meloxicam is not labeled for use in cattle in the United States, but veterinarians can administer it under the Animal Medicinal Drug Use Clarification Act (AMDUCA). In a recent letter from the FDA’s Center for Veterinary Medicine it was stated that extra-label use of drugs “is limited to treatment modalities when the health of an animal is threatened or suffering or death may result from failure to treat. We (the CVM) consider the use of analgesics and anesthetics for the purpose of alleviating pain…an acceptable justification for using approved drugs in an extralabel manner.” Based on the terminal plasma half-life reported in dairy calves of 40 hours, a conservative meat withdrawal interval of 21 days is recommended. According to AABP, meloxicam is available through several commonly used distributors. Current prices for a 1,000-count bottle of 15mg tablets means you can medicate calves at 0.45 mg/lb (1mg/kg) for less than a dime per hundredweight. Where are approved drugs for dehorning pain? According to a recent survey, about 18 percent of U.S. dairy producers use pain management for dehorning or disbudding. A slightly greater percentage of bovine veterinarians use pain relief for castration, which is typically performed at the same time as dehorning. One reason may have to do with the lack of approved pain medication. Currently, no drugs are approved by the Food and Drug Administration Center for Veterinary Medicine (CVM) for managing pain in livestock. This leaves the veterinarian and producer liable for problems arising from extra-label use, including milk and meat withdrawal. Numerous compounds are approved for managing pain in companion animals like dogs and cats. Why not pigs, sheep and cattle? CVM requires proof of both safety and effectiveness before labeling a drug to treat or prevent a specific condition in a specific species. Food animals like cattle tend to be quite stoic, or seemingly indifferent to pain; currently, no validated methods exist for evaluating pain responses in food animals. However, despite the lack of approved analgesics for livestock, evidence is mounting that large-animal veterinarians are taking pain management more seriously than ever. The latest issue of Veterinary Clinics of North America: Food Animal Practice is the first issue devoted entirely to the subject of pain management, featuring 12 different articles on topics such as behavioral responses of cattle to pain, managing pain associated with castration, lameness or surgery, and injectable anesthesia in ruminants. In one article, “Bovine Dehorning: Assessing Pain and Providing Analgesic Management,” university researchers look at various methodologies for evaluating pain following dehorning, review published literature, and recommend a multimodal approach to analgesia using local anesthetic, nonsteroidal anti-inflammatory drugs (NSAIDs) and, when possible, a sedative-analgesic. Earlier this year, the Veterinary Medical Association (AVMA) updated its Animal Welfare Policy on Dehorning and Castration to include the use of local anesthetics and NSAIDs to relieve both postoperative and preoperative pain for dehorning procedures other than disbudding. Within the past 18 months, the Dairy Calf and Heifer Association (DCHA) updated its welfare standards to specify disbudding as the “preferred” method for horn removal, recommending “cautery” at less than one month of age with local anesthesia, and approving local anesthesia and sedation for dehorning up to three months of age. All these initiatives point to an increasing industry awareness of the importance of analgesia, and a growing willingness to use a variety of pain management strategies and compounds, federally approved or not. At the same time, CVM is encouraging researchers to provide validated methods for evaluating pain, and drug companies to develop innovative analgesics, all of which may soon lead to the development and approval of pain medications for livestock. Fifty years ago, such an extensive examination of pain management in food animals would have been unthinkable. Consumers today are better educated than ever, and want assurances that their food is produced in a safe and humane matter. As the food animal system moves toward greater transparency, pain management will become increasingly important for producers, veterinarians, researchers, drug companies and regulatory agencies alike. Back in 2008, a leading veterinary researcher and educator predicted that some type of analgesia could be mandated for castration and dehorning “within the next five to 10 years.” Will 2013 be the year that pain management will become a required management practice for producers? Will your operation be ready? When It Comes To Dehorning, Pain Relief Pays. Dehorning is a painful, stressful procedure. 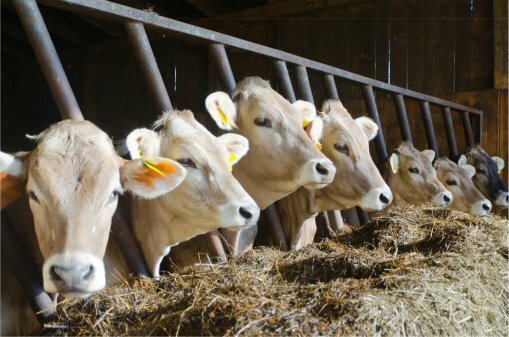 Although the American Veterinary Medical Association recommends the use of pain relief for procedures like dehorning, a survey of U.S. dairy farms found only 12 percent of producers used a local anesthetic (nerve block) on dehorned calves, and only two percent used analgesia (like nonsteroidal anti-inflammatory drugs or NSAIDs). A similar survey of Ontario dairy farms found only 23 percent of producers use lidocaine nerve blocks at the time of dehorning. Reduced disease. All producers know that pain and stress increase an animal’s susceptibility to disease. An article published in the Journal of Animal Science in 2011 showed that calves treated with NSAIDs prior to castration experienced less bovine respiratory disease (BRD) in the feedlot. BRD steals dairy profits through treatment costs, reduced milk production and death loss; the impact is even greater on the beef side, where the disease costs an estimated $800 and $900 million a year. Producers can help reduce these losses by using pain relief for invasive procedures like dehorning. Higher performance. Dr. Temple Grandin has written extensively on the impact of stress and fear on animal performance and meat quality. She has cited numerous studies showing that stressed animals experience significantly lower weight gains, reduced reproductive function including abortion, lower rumen function and lower milk yields. Conversely, reducing stress “will help reduce sickness and enable cattle to go back on feed more quickly,” she wrote. The Journal of Animal Science article showed that pain relief used in calves at castration can increase average daily gain. So why aren’t more producers using pain management for dehorning? Cost is a factor, of course. So is lack of certainty over effectiveness, especially for paste disbudding which is minimally invasive to begin with. Then there’s the issue of training and anatomical knowledge, which may be necessary for determining dose, route, duration and frequency of drug administration. As the food animal system moves toward greater transparency, consumers increasingly want assurances that their food is produced in a safe and humane manner. Not only is pain relief good for the calf, and reassuring for the consumer, but it may actually be profitable as well. Does pain relief pay in your operation? 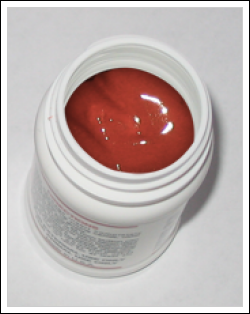 Top 4 Reasons To Convert To Dehorning Paste. 1. Paste is less painful: Research from the University of British Columbia found that calves dehorned with caustic paste experience less pain than calves dehorned with a hot iron, even when a local anesthetic is used. 2. Paste is safer for crew: You may remember this guest blog by Jeanne Wormuth, manager at CY Heifer Farm, citing an employee’s burn injury as the main reason her facility switched to paste. There’s also no need for a squeeze chute or extreme physical restraint. Check out this video of a calf being dehorned with caustic paste. 4. Paste is preferred by consumers: With paste, there’s no smoke, no bawling and very little, if any, resistance from the calf. And there’s nothing sensational to capture in an undercover video. Still curious about paste? Check out these Top 5 Producer Concerns about Using Caustic Dehorning Paste, then try paste for yourself. Humane animal management practices are a good enough reason to switch, and are increasingly being requested by consumers. Why wouldn’t you switch? Fulwider, W.K., et al. Survey of Dairy Management Practices on 113 North Central and Northeastern United States Dairies. J. Dairy Sci. 2008. 91:1686-1692. USDA APHIS, Veterinary Services, National Animal Health Monitoring System, October 2008. Reference of Beef Cow-Calf Management Practices in the United States, 2007-2008. Eighteen months ago, I wrote my first blog post for Horn Talk -- the first and thus far only blog dedicated exclusively to the subject of dehorning. Since then, Horn Talk, which is part of the Dehorning.com website, has logged thousands of page views from people all over the world. We’ve covered topics ranging from pain relief during dehorning to food traceability, and explored the perspectives of producers, veterinarians, activists and consumers on two continents. We’ve also been fortunate to feature guest blogs from the some of the brightest minds in the industry. Along the way, some posts seemed to have struck a nerve more than others. Here, in reverse order, are the 10 most popular posts to date on Horn Talk. #10: Top 2 Consumer Misconceptions About Dehorning. This post had something for everyone: dairy farmers, beef producers, veterinarians, animal rights activists and, of course, consumers. #9: UBC Survey: Is Pain Relief Needed When Disbudding Or Dehorning Calves? Dehorning is an invasive procedure, and pain relief is a topic we've returned to time and again on Horn Talk. #8: New Mercy For Animals Video Shows Animal Cruelty And Dehorning. 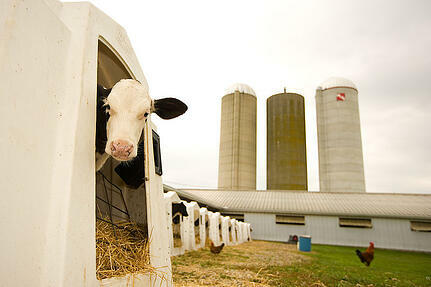 There’s no excuse for abusing calves. It’s especially unfortunate when a procedure like dehorning gets swept up in the scandal and forces the industry to repeatedly defend standard management practices that reduce the risk of injury to humans and animals. #7: A Step-By-Step Guide To Using Dehorning Paste. It's not difficult to apply dehorning paste, but instructions should be followed carefully for best results. This post featured both a video and written instructions. #6: Dr. Aurora Villarroel: My Experience With Dehorning Paste. Dr. Villarroel, an Extension Veterinarian at Oregon State University, has been one of the industry’s most passionate proponents of humane paste disbudding. #5: PETA Proposes An End To Dehorning. Which organization has more credibility when it comes to advising dairy producers on the subject of dehorning? An animal rights group with a vegan agenda? Or the association representing more than 80,000 veterinarians in the United States? #4: New McDonald’s Ad Campaign Features Suppliers. McDonald’s new focus on beef and produce suppliers got mixed reviews from consumers, but Horn Talk readers seemed favorably impressed. #3: Managing Infection In Dehorned Calves. Apparently, a lot of people are searching the Internet for ways to prevent infection during dehorning (Hint: Try caustic paste disbudding). Quite a few of them are landing on this post. #2: Why Paste Disbudding Is Preferred At CY Heifer Farm. Horn Talk readers were intrigued by the story of a crew member’s painful encounter with a butane dehorner, and the switch to a new disbudding protocol for this upstate New York calf raising facility. #1: How Caustic Dehorning Paste Works. One of our briefest posts ever, this straightforward explanation of how dehorning paste prevents horn growth continues to be the most popular blog post ever on Horn Talk. Dehorned cattle require less feeding trough space; are easier and less dangerous to handle and transport; present a lower risk of interference from dominant animals at feeding time; pose a reduced risk of injury to udders, flanks, and eyes of other cattle; present a lower injury risk for handlers, horses, and dogs; exhibit fewer aggressive behaviors associated with individual dominance; and may incur fewer financial penalties on sale. Some argue dehorning is unnecessary because cattle can be bred polled, or naturally hornless. That’s true to a point (no pun intended). However, the vast majority of dairy cattle in the United States, and a significant number of beef cattle, are not polled. Breeding for this trait doesn’t happen overnight, and simply demanding producers buy and raise only polled cattle is unrealistic. For most dairy producers, dehorning remains an essential management practice for human and animal safety. Is dehorning cruel? Some animal activist organizations would certainly have you think so, characterizing the practice as “mutilation” and claiming it involves cutting horns out of the animal’s skull. First, dehorning does not necessarily involve cutting horns out of the animal’s skull since horn buds don’t even attach to the skull until the eighth week of life. There’s plenty of time during those eight weeks for producers to disbud with a hot-iron or dehorning paste, neither of which involve any kind of cutting. Second, like any animal management practice, dehorning has the potential to be abusive in the hands of an untrained or insensitive employee. It’s up to farm owners and managers to take a zero-tolerance policy against animal abuse of any kind. Could our industry do a better job of improving animal welfare? Yes, we could -- and we are, as evidenced by initiatives like the Dairy Calf and Heifer Association (DCHA) Gold Standards III which emphasizes humane handling and other welfare considerations. Could we employ more humane dehorning methods? Certainly. Pain relief should be a routine part of any invasive procedure, which should be performed at the earliest age possible. Research has shown that early-age disbudding with caustic paste is less painful than hot-iron dehorning, even when a local anesthetic is used. As we move toward greater transparency in the food animal system, producers will be increasingly called upon to answer questions about their management practices – and correct misconceptions. If welfare is a priority in your operation, you can feel free to answer tough questions with confidence. We’ve cited Dr. Duffield’s AABP Proceedings article, Current Data On Dehorning Calves, in several blogs, including Dehorning and Analgesia and Is Paste Disbudding Really More Humane? This protocol is certainly consistent with the new Dairy Calf and Heifer Association Gold Standards which call for disbudding calves under one month of age with “cautery” methods and local anesthesia. 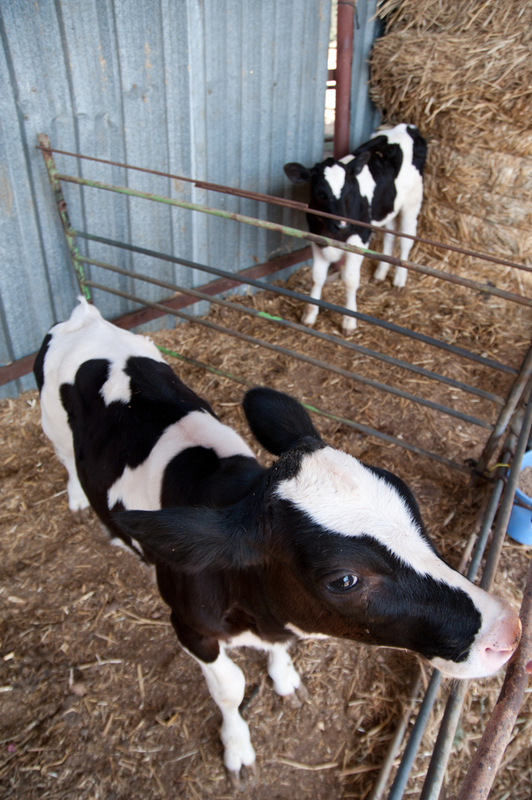 For older calves, the DCHA recommends using both local anesthesia and sedation. The editor of Ag Animal Health recommends a fifth step to Dr. Duffield’s protocol: Training and retraining individuals conducting dehorning procedures. This is so common-sense, it almost seems ludicrous to include it in a formal protocol. However, many of us in the business have witnessed or heard about dehorning mishaps that result in injuries to crew members. You may recall Jeanne Wormuth’s guest blog last year about the employee who accidentally burned herself with a butane dehorner, prompting the calf-growing operation to switch to caustic paste. Do you think five steps in a dehorning protocol is too few? Too many? Or just right? Julie Berry is a freelance science writer. Another animal rights activist undercover video of a NY farm was released last week that targeted dehorning and other common animal care practices. Animal rights activists continue to use these videos as a tactic to support legislation that guides how animals are cared for. While this legislation to general consumers can appear well-meaning, it is often not based on science, and can threaten to drive food production overseas. However, farmers need to take seriously concerns of consumers about how animals are treated on farms, keep current on research and best management practices, and tell their farm family story effectively. One area of growing research is use of pain management with practices such as dehorning and castration. A recent article published in the Journal of Animal Science showed that nonsteroidal anti-inflammatory drug (NSAID) protocols used in calves at castration can increase average daily gain and reduce susceptibility to disease. Castration improves meat quality and reduces animal injuries at the feedlot. No compounds are currently approved for pain relief in cattle and available products may not be practical or cost-effective. “Identification of analgesic compounds that may also have performance benefits after castration would provide livestock producers with an efficient and economically viable way to address animal health and welfare concerns,” wrote the study authors. The study “Effect of oral meloxicam on health and performance of beef steers relative to bulls castrated on arrival at the feedlot” compared the effect of the NSAID meloxicam on health and performance of calves received as steers versus bull calves castrated surgically on arrival at the feedlot. In castrated calves meloxicam reduced the pen-level first pull rate and reduced bovine respiratory disease. Meloxicam administration via an oral dose mixed in 50 mL of water before castration in post-weaning calves reduced the incidence of respiratory disease at the feedlot. Meloxicam mitigates pain associated with inflammation after castration. “These findings suggest that meloxicam administration before castration in post-weaning calves may decrease the number of castrated calves requiring antimicrobial therapy for pneumonia and lessen the economic impact of BRD in livestock production systems. These results have implications for developing pain mitigation strategies involving NSAID in calves at castration with respect to addressing both animal health and welfare concerns,” wrote the study authors. Julie Berry is a freelance science writer. In this week's blog, she shares her observations from the recent Center for Food Integrity's Food Summit held in Chicago, IL. An article published recently in the American Journal of Veterinary Research evaluated practical and cost-effective ways to reduce pain and distress from castration and dehorning in Holstein calves. “Negative public perception of procedures involved with castration and dehorning is mounting, with calls for the development of practices that minimize pain associated with common husbandry practices. Use of analgesic and anesthesia during painful procedures such as castration and dehorning has been suggested by organizations such as the AVMA, however, FDA-approved drugs labeled for the treatment of pain in animals do not currently exist,” wrote the study authors. This study evaluated cortisol levels of 40 2-to-4 month old calves after dehorning and castration or sham dehorning and castration. Cows are prey animals, and will conceal pain, but plasma cortisol levels rise in response to pain or distress. Castration by surgery and hot iron dehorning are known to increase plasma cortisol concentration. “The process of evaluating pain is especially complex in prey species, such as cattle, that inherently conceal pain,” wrote the study authors. Plasma cortisol levels peak 30 minutes after dehorning, and plateau for 5 to 6 hours. Xylazine, ketamine, and butorphanol (XKB) administered intramuscularly had peak effectiveness at 10 minutes, but effectiveness decreases 1 hour after treatment. Salicylate (SAL) was dissolved in free choice water, mixed with molasses to increase palatability, at a concentration of 2.5 to 5 mg of SAL/ml. “Results indicated that the treatment of cattle prior to castration and dehorning with SAL alone or in combination with XKB increased ADG and decreased circulating cortisol concentration,” wrote the study authors. And, the study found that calves that received pain relievers grew better. According to the study, aspirin has a recommended meat and milk withdrawal of 24 hours, and further studies are needed to evaluate tissue withdrawals when SAL is used as it was in the study. Xylazine administered at a dose of 0.05 to 0.30 mg/kg has a recommended withdrawal of 4 days in meat and 24 hours in milk. The Food Animal Residue Avoidance Databank suggests withdrawal times for ketamine at dosages up to 10 mg/kg IM be 3 days for meat and 28 hours for milk. Butorphanol has a suggested withdrawal time of 48 hours. Pain management practices should be implemented under the supervision of a veterinarian. 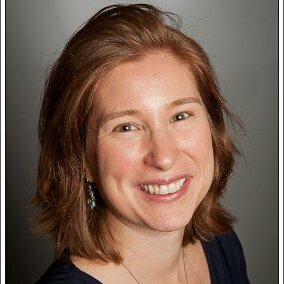 “Pharmokinetics and physiologic effects of intramuscularly administered xylazine hydrochloride-ketamine butorphanol tartrate alone or in combination with orally administered sodium salicylate on biomarkers of pain in Holstein calves following castration and dehorning” was co-authored by Sarah L Baldridge, DVM, MS; Johann F Coetzee, BVSc, PhD; Steve S Dritz, DVM, PhD; James B Reinbold, DVM, PhD; Ronette Gehring, BVSc, MMedVet; James Havel, BS; and Butch Kukanich, DVM, PhD. Are there other ways to make dehorning pain relief practical and cost-effective? This week's blog post is written by Dr. Kurt Vogel, Ph.D, an Assistant Professor of Animal Science, Livestock Welfare and Behavior at the University of Wisconsin–River Falls. Dr. Vogel studied at Colorado State University under noted animal welfare activist Temple Grandin. He teaches courses in animal welfare and physiology, conducts research on the impact of management on livestock welfare, recently hosted a series of seminars on societal ethics and animal agriculture, and was profiled in the August issue of Drovers Cattle Network. 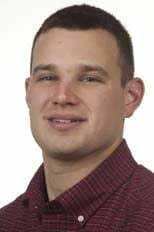 By Guest Blogger: Kurt D. Vogel, Ph.D., Assistant Professor of Livestock Welfare and Behavior, University of Wisconsin-River Falls. In any science-based discussion of painful procedures that are performed in livestock management systems, common terms and phrases like cortisol, epinephrine, heart rate, and vocalization are likely to come up. From the sidelines, it may appear that assessing animal pain is reasonably straightforward: just pull a blood sample, analyze the concentration of a pain-indicating substance in the blood, and – voila! – the amount of pain the animal experienced is revealed. Unfortunately, assessing animal pain is not that simple. There are many factors that influence the quality and suitability of the pain assessment measures that we use. Let’s take a look at a couple of the factors that must be considered when an assessment of animal pain is performed. The first consideration to make when performing an assessment of animal pain is the suitability of the measurement. Let’s use the stress hormone cortisol as an example. Cortisol is released by the adrenal glands in response to some sort of immediate stressor – fear and pain are a couple of examples. The major physiological role of cortisol is to increase the amount of glucose that is circulating in the blood. The resulting increase in blood glucose gives the body the extra energy it needs to overcome the stressor. This is a small part of the body’s response to an immediate or acute stressor. So, in cases where we need to determine how much stress an animal experiences in response to a short-term painful event, cortisol is quite useful. However, when the animal is under chronic stress, blood cortisol levels will increase immediately after the stress has begun, but will return to normal or near normal even though the animal may still be experiencing some level of pain. This is one of the reasons why cortisol is not, and should not be, the sole indicator of animal pain and stress in scientific literature. From the standpoint of an animal welfare scientist, acute pain and stress is much simpler to assess than chronic stress. Another challenge to assessing animal pain and stress is accounting for the presence of humans in close proximity to the animals. For most domestic livestock, close contact with a human can be highly stressful. If we plan to assess the amount of pain that calves experience during the application of caustic paste to the horn buds, we have to compare the response of the calves to calves that did not receive the paste application. We call this a ‘sham’ procedure. During a sham procedure, all of the handling associated with the procedure is performed and the same indicators of pain and stress are measured. 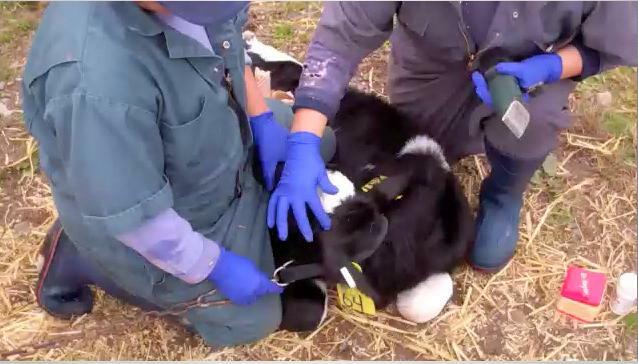 The data that is collected from the ‘sham’ procedure is then used to factor out the amount of stress that the calf experienced from close contact and handling by humans. Ultimately, the scientific assessment of the amount of pain and stress that an animal experiences during a painful procedure can be challenging to quantify. Much of the research that has been conducted on the amount of pain experienced by domestic livestock has focused on the amount of acute pain that the animals experienced. Newer studies have identified methods to perform longer-term assessments of pain and stress, but there is still much work to be done to fully understand the chronic pain response in animals. © 2015 H.W. Naylor Co., Inc. All rights reserved.